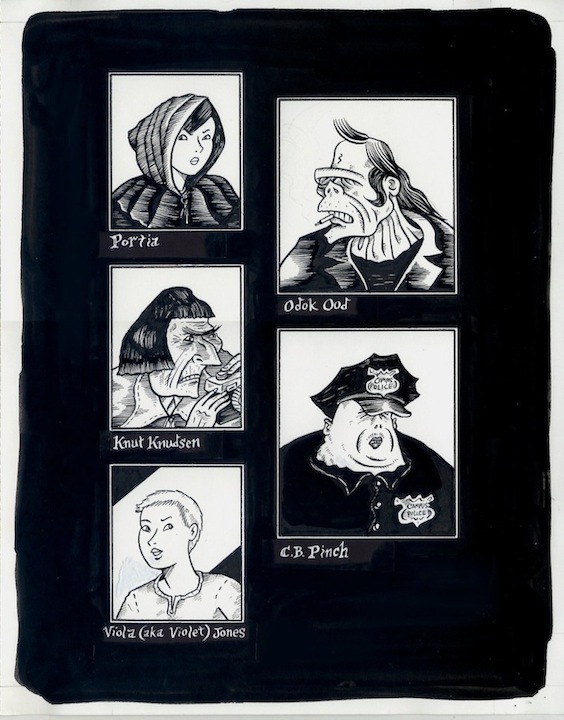 A portrait gallery of characters featured in the book MAD NIGHT, from the section at the end of the book entitled "The Players" Ink on 11"x14" bristol. NOTE: The white-on-black-lettering are paste-ons, still neatly pasted-on. There are some small areas of white-out/corrections.